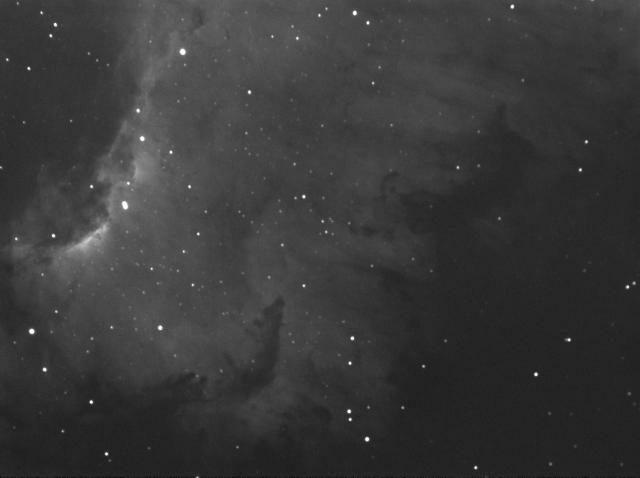 The mexican section of the North America Nebula. Taken last night through somewhat hazy skies. One hour exposure (six exposures of ten minutes each.) Cygnus, where the nebula is located, was getting low in the West..... summer is over and fall is here.